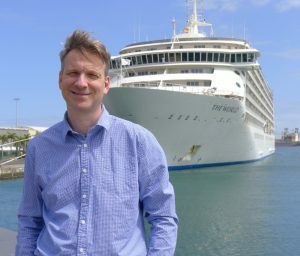 In April (2018) Richard was invited to give three guest lectures on board The World. His talks included an introduction to Morocco, a history of Casablanca and a cultural history of Tangier. Richard also read stories from The Last Storytellers. The ship is the world’s largest private yacht.